April 3, 2011 - Boeing released research conducted by Yale University's School of Environmental Studies showing significant potential for sustainable aviation fuel based on jatropha-curcas, an oil-producing, non-edible plant. The study shows that, if cultivated properly, jatropha can deliver strong environmental and socioeconomic benefits in Latin America and greenhouse gas reductions of up to 60 percent when compared to petroleum-based jet fuel. The Yale study, conducted from 2008-2010 and funded by Boeing, used sustainability criteria developed by the Roundtable on Sustainable Biofuels to assess actual farming conditions in Latin America. Unlike previous studies, which used theoretical inputs, the Yale team conducted extensive interviews with jatropha farmers and used field measurements to develop the first comprehensive sustainability analysis of actual projects. Boeing is supporting the current Mexican Government roadmap assessment on aviation biofuels, "Plan de Vuelo," and this data will contribute to that effort. The peer-reviewed data is applicable to similar conditions in Mexico and also provides guidance to Brazilian efforts to develop a commercial aviation biofuels market. Studied jatropha projects included actual small- to large-scale farms ranging from under ten hectares to more than several thousand hectares. Yale researchers used a robust analytical framework to compare land conditions before and after jatropha cultivation. A key study finding identifies prior land-use as the most important factor driving greenhouse gas benefits of a jatropha jet fuel. 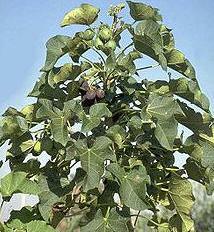 If Jatropha is planted on land previously covered in forest, shrubs or native grasses, benefits may disappear altogether. If the crop is planted on land that was already cleared or degraded, then additional carbon is stored and emissions reductions can exceed the 60 percent baseline. This research highlights that developers should pay particular attention to prior land use when deciding where to locate jatropha projects. A second important finding is that early jatropha projects suffered from a lack of developed seed strains, which led to poor crop yields. Advancing jatropha seed technology through private and government research is critical and many Latin American countries are now engaged in supporting such technology development. "Our team identified dozens of jatropha farmers willing to participate in our research, despite some challenges many encountered with this new crop. For most, this was the first time anyone had studied their efforts," said Dr. Rob Bailis, assistant professor, Yale School of Forestry and Environmental Studies. "Working with them allowed us to collect detailed data needed to build a comprehensive picture including both positive and negative aspects. Research like this is vital to helping developers to deliver better social, environmental, and economic sustainability outcomes from jatropha cultivation." "The invaluable insights provided by this study will help our airline customers to better understand the sustainability of this potential jet fuel source, while also providing solid scientific data to governments and environmental organizations throughout the region," said Boeing Commercial Airplanes Director of Environmental Strategy Michael Hurd.